When you have five pine trees in your yard, yes we have five, you’re bound to collect a few pinecones. Or dozens of them. 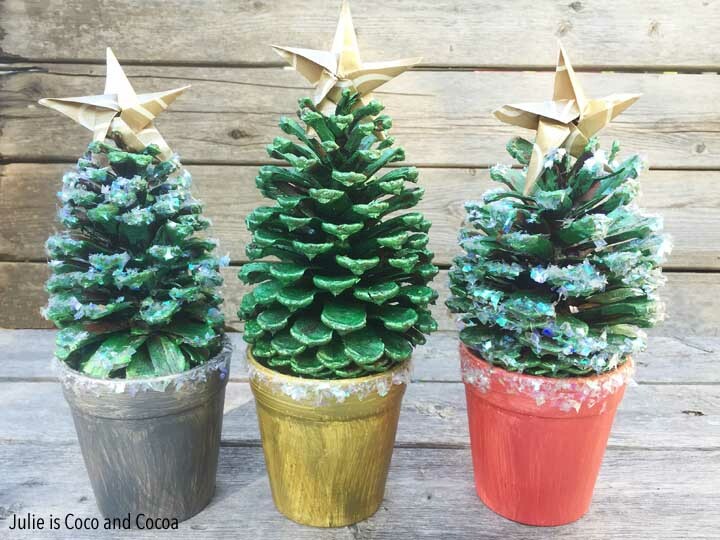 And that includes plenty of pinecone crafts. 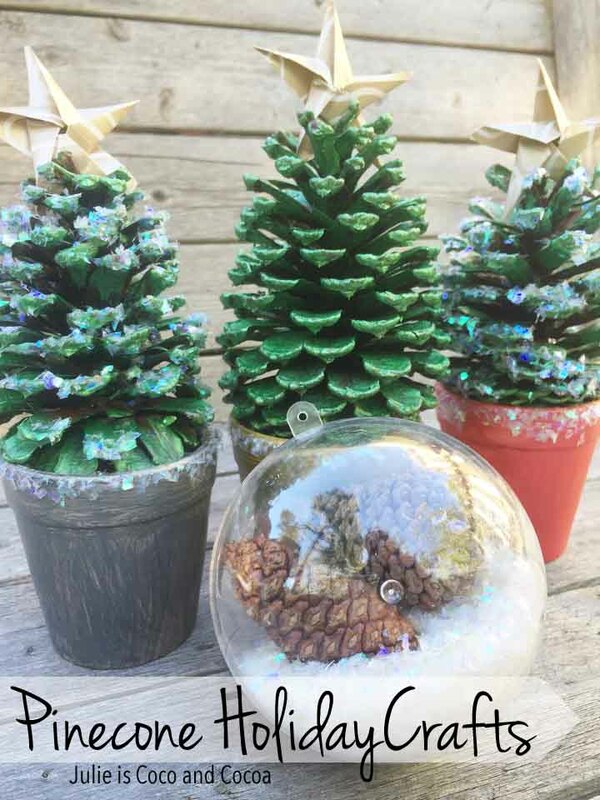 This year I made some snowy pinecone ornaments and mini Christmas trees. This was a great project for the kids to help me with as well. 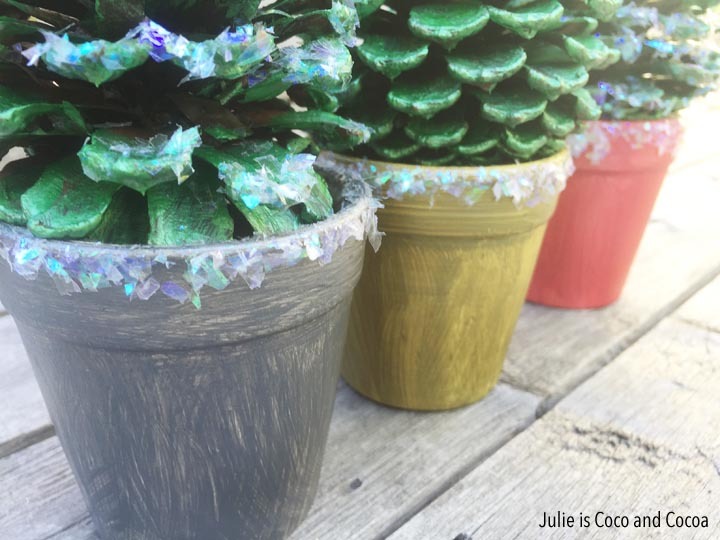 We painted our pots and pinecones and let them dry. 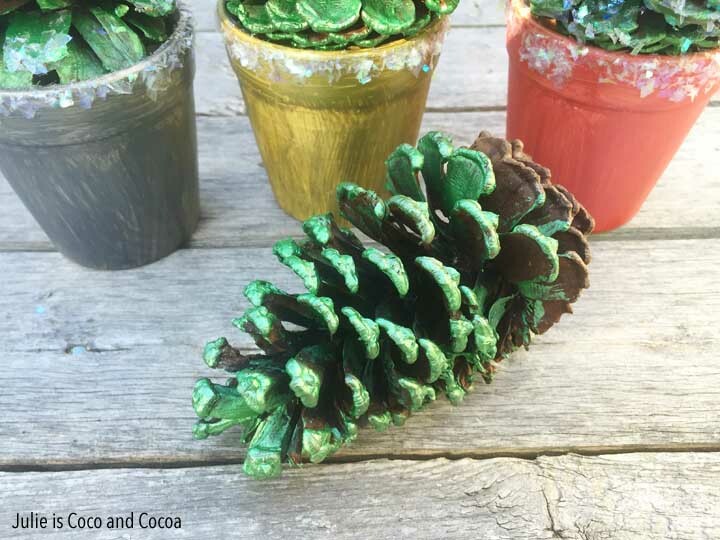 We did the pinecones in green and then used some of the other metallic colors that we got for the pots (silver, gold, and red). Once everything was dry we could add the snow. We put snow around the rim of all of our pots and an a couple of our trees. I brushed Mod Podge onto the rim of the pots and dipped it into some snow I had poured out. 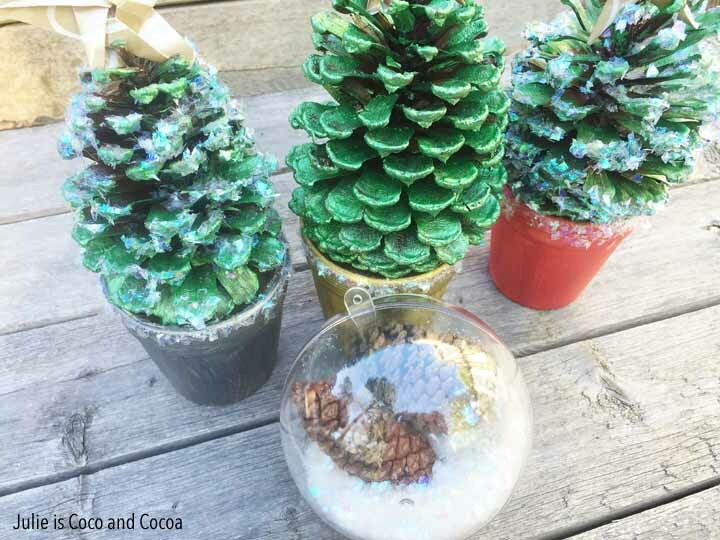 For the trees I brushed more Mod Podge onto the pinecone and sprinkled the glitter snow on top. The last step was to add a star on top. I just used some wrapping paper that I had on had and folded an origami star. I used more Mod Podge to attach the star to the top of the tree. My pinecones set nicely into my pots, I had a lot of pinecones in my yard to pick from so I picked some that fit that best. 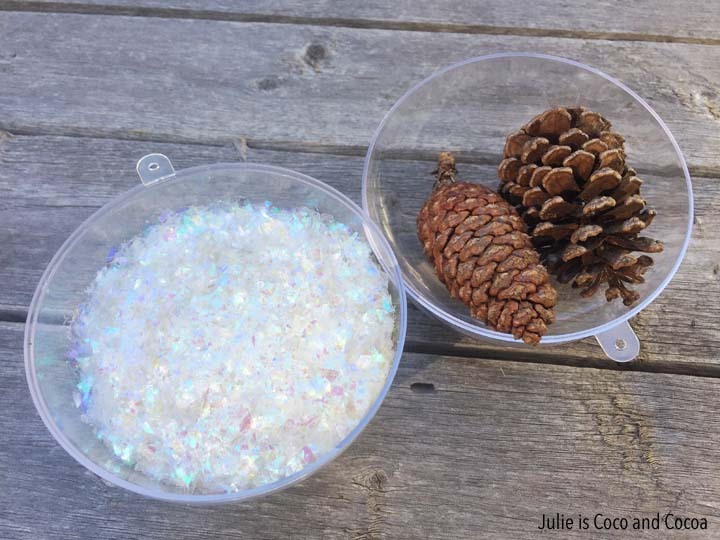 You could also add some hot glue to really secure your pinecone into the pot. The mini trees look great sitting on a shelf for the holidays! 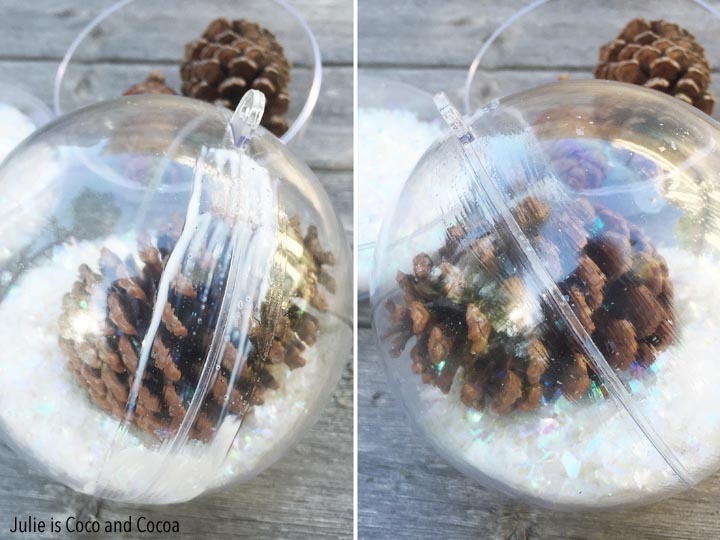 I also picked much smaller pinecones for this craft, because they needed to fit inside of the ornament. 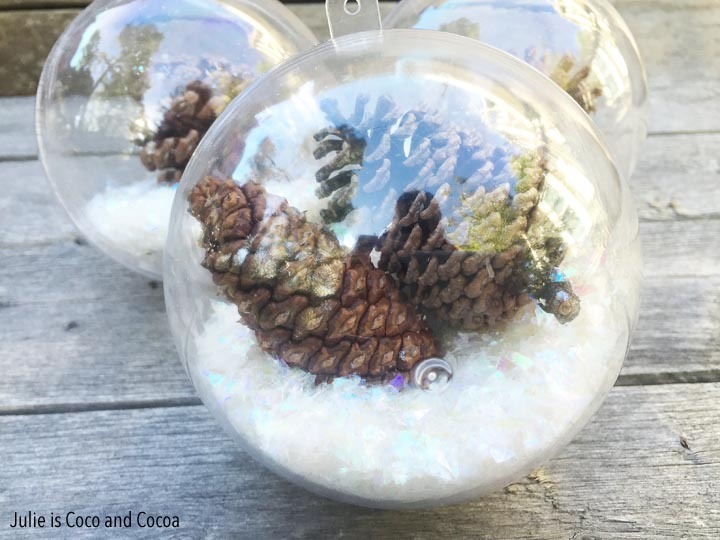 The ornaments pop open, and I filled one side with the snowy glitter and made sure the pinecones fit in the other side. Then all I had to do was put the two pieces together! Now, to give me some extra security (because we are talking about snowy glitter) I did brush some Mod Podge on my ornament to make sure it was really sealed. You could also use another adhesive to make sure no one opens the ornament once you put it together. 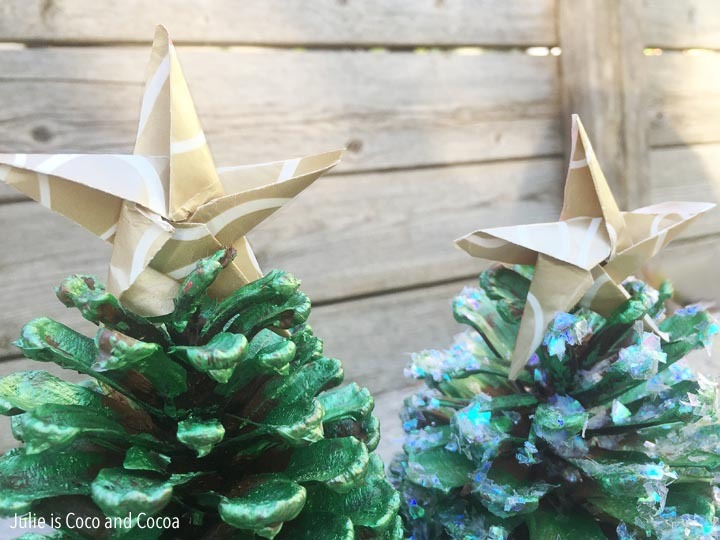 One of the best things about pinecone crafts is that my kids and I could all work on them together. 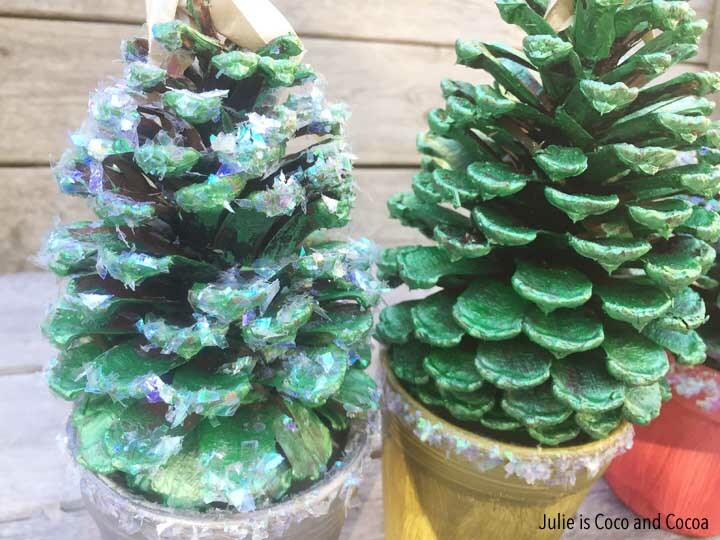 What are you favorite pinecone crafts?